AI is set to disrupt the job market for all industries but it will also bring powerful new tools for employees. Artificial intelligence (AI) is transforming how we run processes, work with data, and interact with customers but workers and businesses may not be ready for all the changes ahead. There's no question that AI will displace some jobs, and also create new roles in response to the shifts in productivity and customer demand. New types of workers will be essential alongside intelligent robots to develop, deploy, maintain, operate, and regulate AI. Thankfully, AI also offers workers powerful new tools to better understand the demand for new roles, and plan for reskilling to address anticipated disruption in the market for skilled jobs. 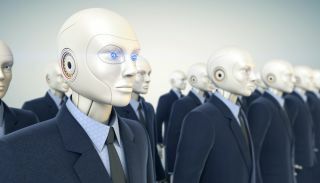 The findings from Genpact’s multi-part study of 300 C-suite and other senior executives, and more than 5,000 people surveyed in the United States, United Kingdom, and Australia, suggests there is already a glaring gap between the skills that workers need to take advantage of AI and the support companies are providing to reskill their employees. While only 10 percent of workers surveyed strongly agree that AI threatens their jobs today, nearly everyone (90 percent of consumers) believes younger generations need new skills to succeed as AI becomes more prevalent in the workplace. However, only 38% of all senior executives say they currently provide employees with re-skilling options, despite the fact that 96% of AI leaders – companies that achieve significant business outcomes from AI – believe artificial intelligence will transform their workforce. Why is the AI wave different from previous technology disruptions? These findings underscore how companies need to do more in planning how to address the expected job disruption, and how workers need to prepare for the age of AI. With the emergence of new digital technology and management practices, many jobs will be fundamentally changed in ways much broader than previous technology disruptions. AI will affect workers at all skill and education levels, as opposed to mainly those who perform manual labor. Disruption of entire industries and functions will mean that unlike in previous technology revolutions, it is unlikely there will be closely related jobs (even more so in the same location) to which workers can shift as they could in the past. Given the magnitude and speed of change in the market, basic employee reskilling that considers conventional career paths or jobs will be inadequate in the age of AI. The rapidly increasing demand for hybrid jobs like marketing/human resources, data science/operations, and user experience (UX)/learning means that understanding the landscape of adjacent skills and the market demand for these skills, rather than specific jobs, will unlocks pathways to new opportunities via reskilling. For example, there are more roles that require data science skills alongside other more traditional skills than there are roles for pure data scientists. As a worker, if my current job is displaced and there aren’t enough equivalent positions available, what are the job types I can do close to where I live, and what new skills do I need? As an HR leader, how do I help the business by enhancing the agility of the workforce, especially in times of drastic change? As a CEO, how big will be the social unrest created by the organisational changes driven by technology? Genpact in collaboration with Boston-based Burning Glass Technologies applied AI and advanced algorithms conducted a pilot study that examined a broad cross-section of career profiles. By analysing real time labour market data, AI and machine learning algorithms can build a sophisticated database of jobs and the skills needed for individual roles, further weighted by the employers’ demand for specific skills. AI and natural language processing can parse resumes, and analyse past job experiences and other factors to map all the skills people possess. Consider the potential impact of this model. AI engines can allow an individual’s unique skills profile to be scientifically matched with thousands of jobs to identify possible (even seemingly unrelated) roles with the highest overlap of skills. Employers and job-seekers alike can combine data such as average compensation, time to fill the job in a selected region, and other factors to assess the attractiveness of the opportunity. Most importantly, AI algorithms can also pinpoint the gaps in the individual’s skillset for making a successful transition. As individuals, we’re keen to shape our own careers by understanding what we can do now to prepare for the future. Adding the right new skills is the pathway to future work – but the market is continually and rapidly evolving. Leveraging the power of AI in workforce planning can enable individuals to understand and get ahead of future needs. Using AI in this innovative planning approach lets HR provide practical help for employees to evolve their careers more easily. Companies can offer employees career pathways that are uniquely suited to their individual experience rather than straight-jacketed role-based career paths. Armed with insights on “in demand” skills, HR can step in to both future-proof their organisation and better retain employees with targeted training programs. Reskilling or upskilling decisions are often guided by human intuition and experience alone. Human resources (and even displaced employees) often take a short-sighted view of the redeployment possibilities based on limited experience and anecdotal evidence. Using data at scale removes the bias by learning from millions of natural experiments. Artificial intelligence brings a seismic shift in the future of work. Employees need additional skills to embrace the new job opportunities – and companies must respond. Businesses that will succeed in this new world will be those that ramp up fast to invest in the right AI tools and reskill their workforce. Workers who will succeed are those that show flexibility to embrace new skills and explore a wider range of career paths. AI-based workforce planning tools with advanced analytics has the potential to be a powerful tool to solve for expected job disruptions.